Gerold Huber studied piano with Friedemann Berger at the University of Music and Performing Arts Munich and attended the art song class of Dietrich Fischer-Dieskau in Berlin. In 1998 he received the Prix International Pro Musicis in Paris/New York together with baritone Christian Gerhaher, with whom he regularly collaborates. He performs at such major festivals as the Schubertiade Schwarzenberg and Schleswig-Holstein Music Festival as well as at major international concert halls including the Concertgebouw Amsterdam and London’s Wigmore Hall. As a sought-after chamber music partner and accompanist who also works with the younger generation of singers, he collaborates with many internationally-renowned artists. Since 2013 Huber has been Professor of Vocal Accompaniment at the University of Music Würzburg. 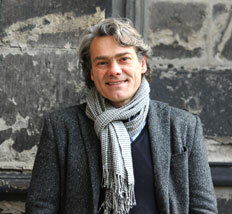 He is Artistic Director of the Polling Festival of Old and New Music.